Looking for Summer Fun? Tahiti Island is the place… just add water! 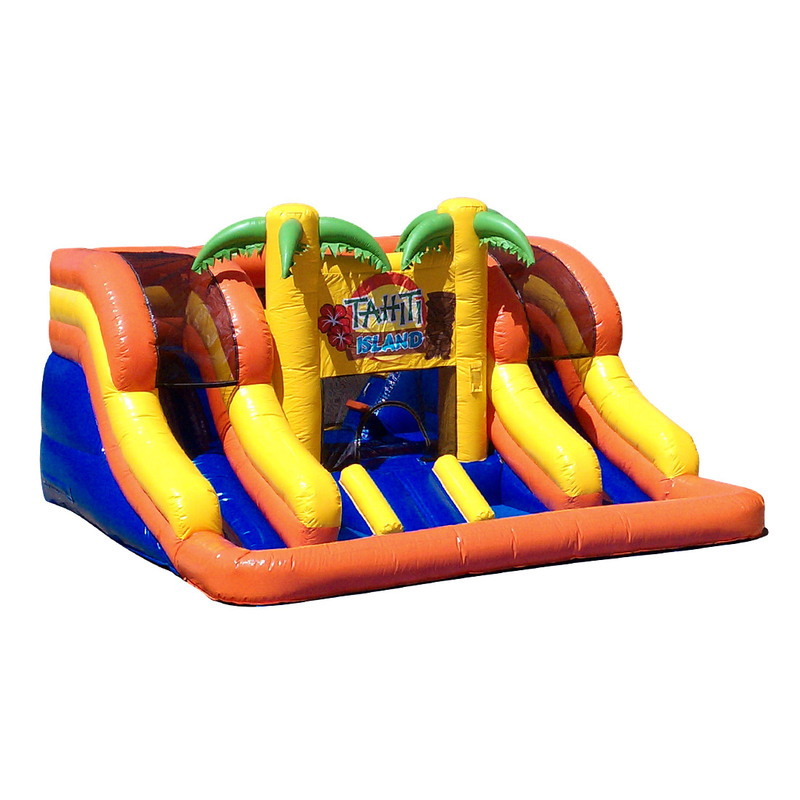 Children 2-10 will enjoy this mini tropical island of fun as they Climb, Slide and Splash around for hours of fun. Dimensions: Length: 17′, Width: 16′, Height: 9’6″, Weight: 229 lbs.